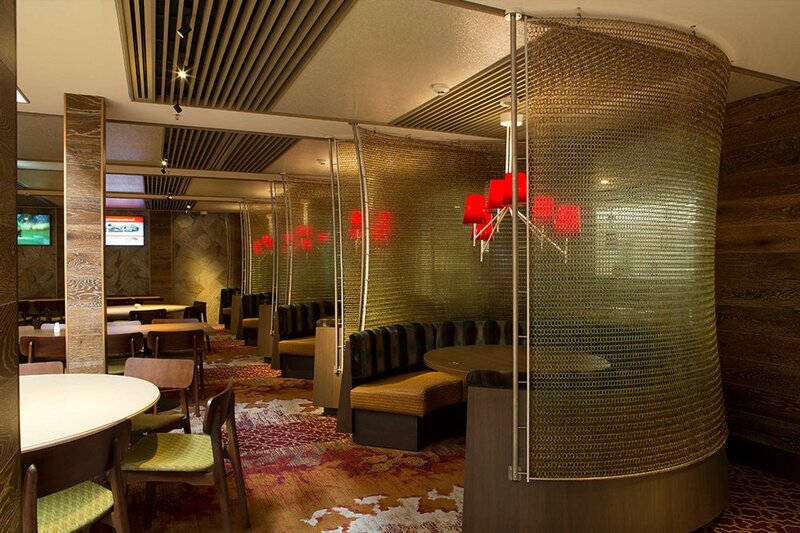 Kaynemaile screens provide privacy and opulence to the dining and cafe precinct. 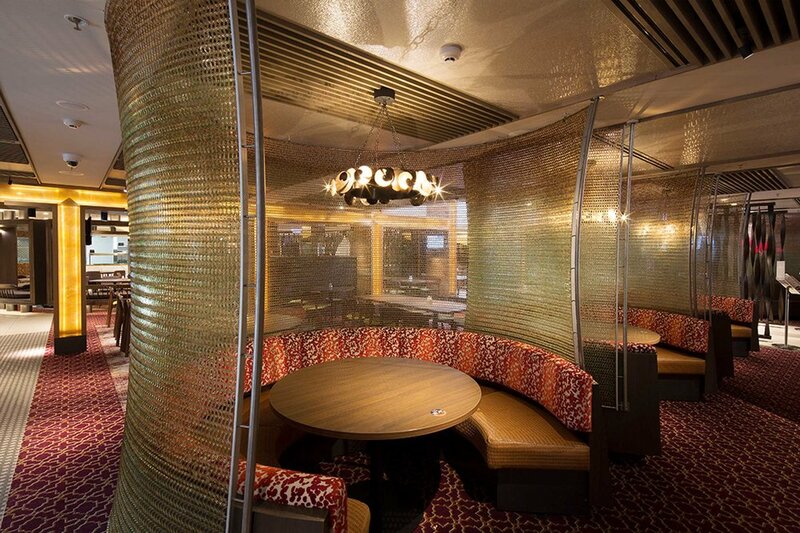 These custom-coloured Kaynemaile tensioned Hanging Screens provide privacy and opulence to the dining and cafe precinct at the Mittagong RSL in New South Wales, Australia. 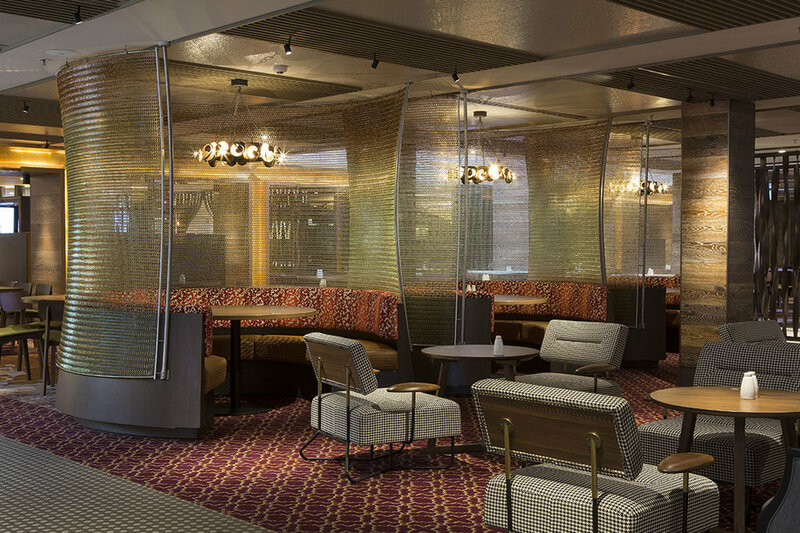 Our custom colour Kola was selected to match the unique colour palette created by Abeo Architects, enhancing the lighting and dramatic design at the upscale entertainment venue. Kaynemaile mesh is a patented, world-leading innovation. Made from engineering grade polycarbonate, the unique manufacturing process means we make what you need and that’s it. The materials are also fully recyclable using low-energy processes.